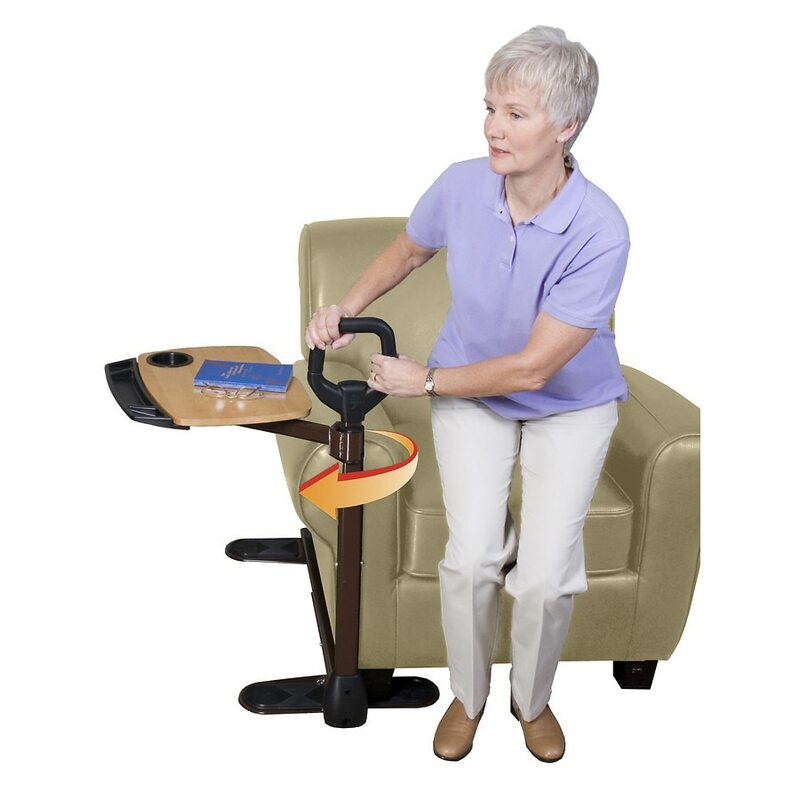 Standing handle adjustable in height from 34"-40"; Tray height adjustable from 26"-32"
The Able Tray by Able Life is a couch-side handle that makes it easy to stand from your favorite couch or chair. It comes with a convenient multi-use swivel tray so you can eat, surf the web, or simply keep handy items close by. And like all of our products, it blends in with your living-room like another piece of furniture so you can maintain the comfortable feeling of your home. The base adjusts in depth from 20" to 36" to fit a wide range of couches and chairs. The handle height can be adjusted from 34" to 40". The handle will support up to 250 lbs, the tray supports 30 lbs.